"This fantastic introduction to Biological Psychology brings the subject to life in a way that no traditional textbook can. I will certainly be recommending it." Brian Wink, Southampton Solent University "My first reaction was that it was both imaginative and courageous. Having read it, I would add that it also makes a significant contribution to the available texts on biological psychology. This approach is just what students are looking for." Graham Mitchell, University of Northampton Taking a refreshingly innovative approach to the subject, Biological Psychology: An Illustrated Survival Guide uses cartoons as an effective teaching medium. 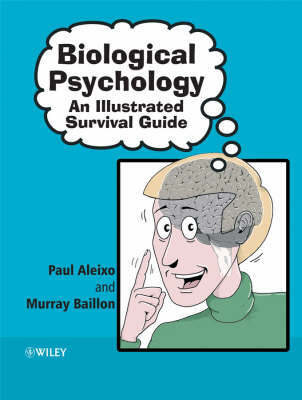 Each chapter is organised into a mini lecture, and offers an accessible introduction to key topics including:* The brain and nervous system* Vision and audition* The mechanical and chemical senses* Emotions and sexual behaviour* Memory and learning Intended to complement traditional textbooks in the area, Biological Psychology: An Illustrated Survival Guide provides undergraduate and 'A' level students with an alternative introduction to biological psychology and an invaluable study aid.